When teaching fraction skills, I always try to make it as applicable and real-world as I can. I will admit that when I got ready to teach the skill of multiplying mixed numbers, I was a bit stumped about how to make this relatable. The focus of the first few multiplying mixed numbers lessons that I teach on the computation process and the conceptual process. Because, I always start each lesson with a task or word problem to keep it real-world and provide a context for the equations, I knew I needed to stop and reflect on how to make this applicable. 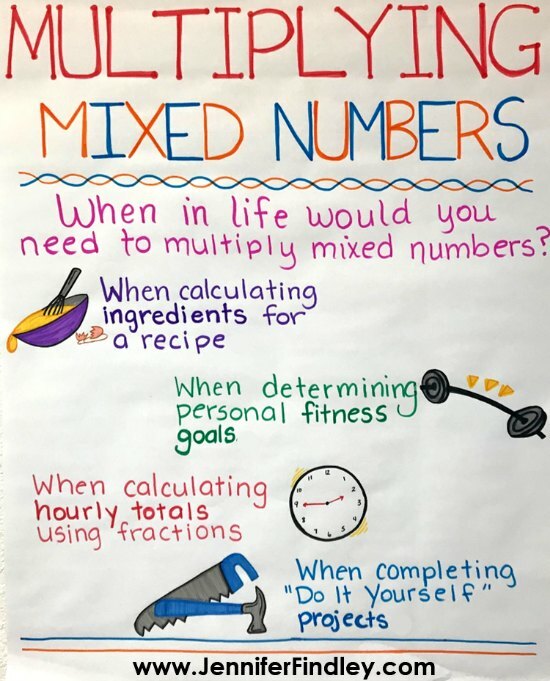 I took a few minutes to brainstorm how often I (or anyone else) actually multiplies mixed numbers and I must admit it was a struggle. I knew that if I was struggling to come up with real-life applications of the skill, my students would not see the connection either. 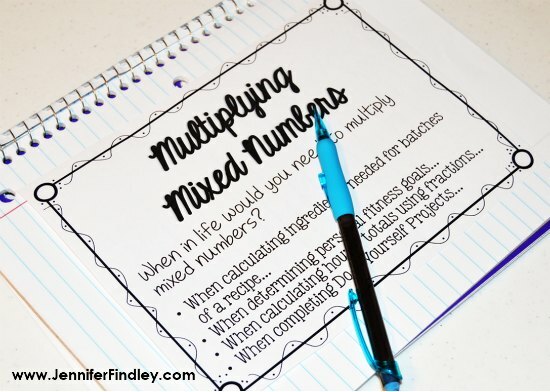 This post will a share a few free printables to help your students see the real-life connection when multiplying mixed numbers. I made the situations into a printable chart to share with my students when introducing this skills. This chart works great printed at 80% (or zoomed down on a copier) and glued to an interactive notebook for future reference. Next, I created four word problems that matched each real life situation to help my students see the big picture and the connection between multiplying mixed numbers and real life. The tasks are full page but can easily be printed four to a page for an interactive notebook activity. If you think these printables will be useful for your students when they are learning how to multiply mixed numbers, click here or on the button below to download them. Multiplying and Dividing Fractions Word Problems: This post shares how I help my students solve word problems involving multiplication and division of fractions, including a FREE word problem sort. 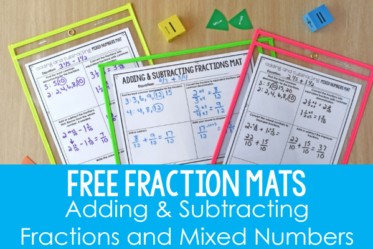 Free Fraction Mats: I use these free fraction graphic organizers/mats to support my students as they add and subtract fractions with unlike denominators. Free Fraction Pacing Guide: This post shares a student “I Can” checklist and how I pace the 5th grade fraction skills that I teach. Free Fraction Fun with Snacks Printables: If you can use snacks in your math class, your students will love reviewing fraction operations (multiplication and division of fractions) using Twizzlers, Skittles, and brownies. 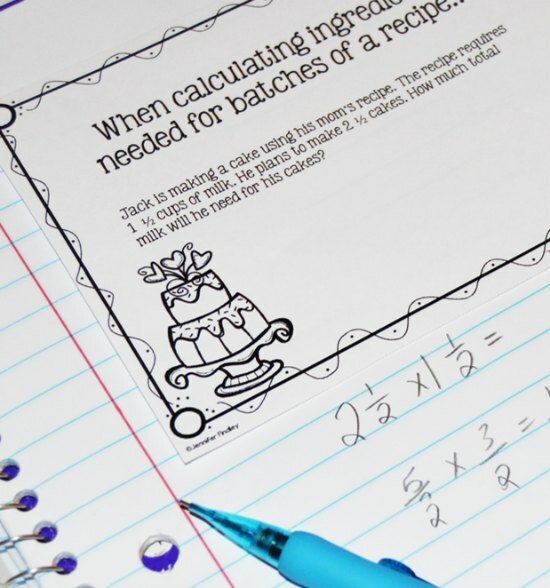 4 Ways to Teach Students to Make Common Denominators: Read about four ways that I teach my students to find common denominators (and grab a free printable). 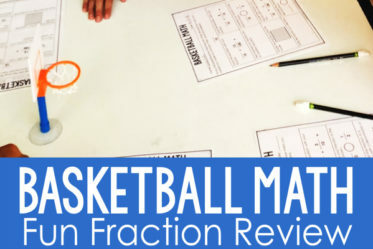 Free Fraction Activities: This post shares some FREE fraction activities. 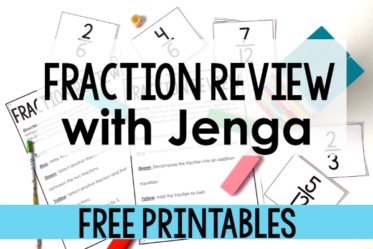 Free Fraction Jenga: Your students will love reviewing fraction skills with Jenga! Great question on how often we multiply mixed numbers in real life…I'm going to spend some time thinking about that and making note as I use them. Today is my first time linking up with Math is Real Life and I am so excited to participate. thanks so much for making my brain work harder…I'm in the process of using word problems with number lines and any suggestions or examples from you or created material would be awesome…if you decide to do that please provide teacher key…all curriculum developers competing with CCSS (for purchasing purposes only) are not providing multiple examples of how to get a correct answer. My team sat down last year and completed the 5th grade state test and each of us came up with several ways to solve each individual word problem with multiple steps unlike what might or might not be accepted in NYS answer keys. Which brings me to another flaw in the grading system. Teachers/scorers not familiar enough with the new CCSS standards need to be exposed to conceptual understandings beyond what was learned in previous years. they must have a greater understanding of multiply ways of presenting to accommodate the differentiated instruction expected in today's teaching. I'm a big advocate of providing your thinking on paper just like we expect kids to do. Thanks for the real world questions when presented with multiplying mixed numbers. When you move into geometry angles etc…I recommend the downhill speed skiers in the Olympics… the angles needed to maintain leads in speed within seconds is real life and also ties into those decimals that are hare to grasp for 5th graders…forget 3rd and 4th…at this moment. There are live examples of olympic skiers at angles obtuse, acute etc and websites to really get kids to understand. Wow…I'm way off topic. correction "curricular developers for purchasing purpose should be for selling purposes big money"
Isnt the denominator 4? This would make the quantity needed 3 3/4 cups of milk. You are absolutely right! I made a little note to ignore the computation error in the example. Thanks for kindly letting me know. I love all your resources! I am a first year teacher! I teach fifth grade math, science, and social studies. It is really hard meeting the needs for all my students. You have a great way to differentiate lessons and centers so I can meet those needs. Its also hard buying all the things I would love to have from teachers pay teachers on a first year teaching salary in a very small district. Thank you for posting all the freebies! I have added them all to my drive and plan on using them! I read all of your blog posts and I feel I have grown greatly as an educator this year! I am subscribed and I have printed out everything that is free and then bought some things as well. We are using rock the test review centers right now to study for our state tests. I plan on buying the math units bundle as well. These resources are amazing!